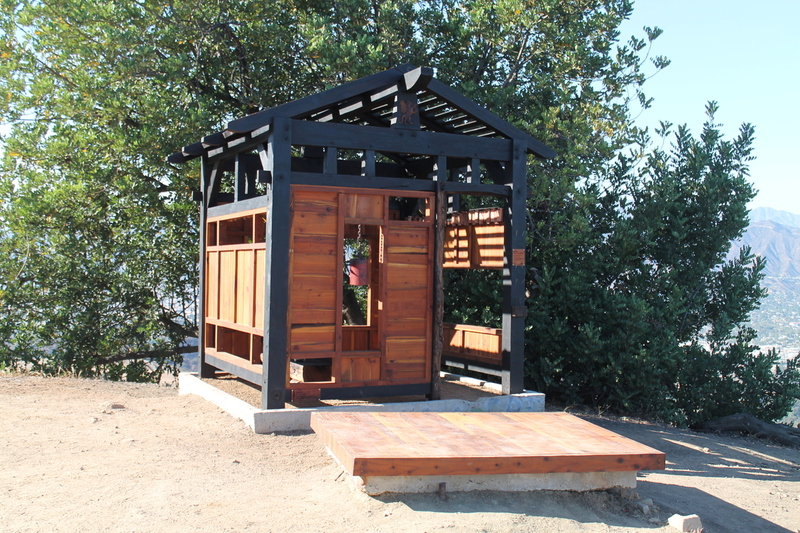 Yesterday, I read about how some unknown artists had popped up a little Japanese-style tea house on an old concrete pad on top of one of the peaks in Griffith Park. Apparently, it was done on the sly in one night, and from the pictures I saw, it looked like it was very nicely done. Since it was unclear how long it would be there, I figured it was something we should go see immediately. Fortunately, Morgan and Jason from my office were up for it, and we headed over there this afternoon. The instructions on how to find it from Modern Hiker were for starting out from the observatory, but parking there is always a problem, and coming from Pasadena, it’s just easier to start from the other side of the park, by the Old Zoo. 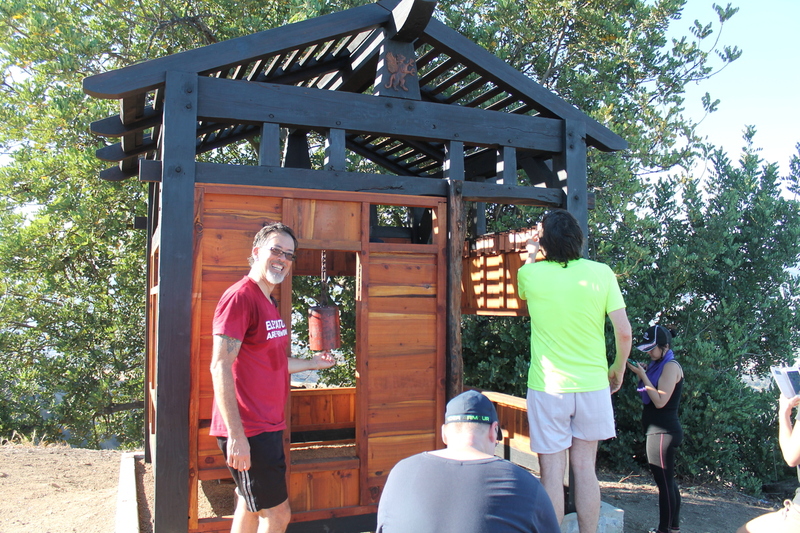 We headed up the trail just like we did back in March, when we went to Mt Hollywood to see the marathon lights. 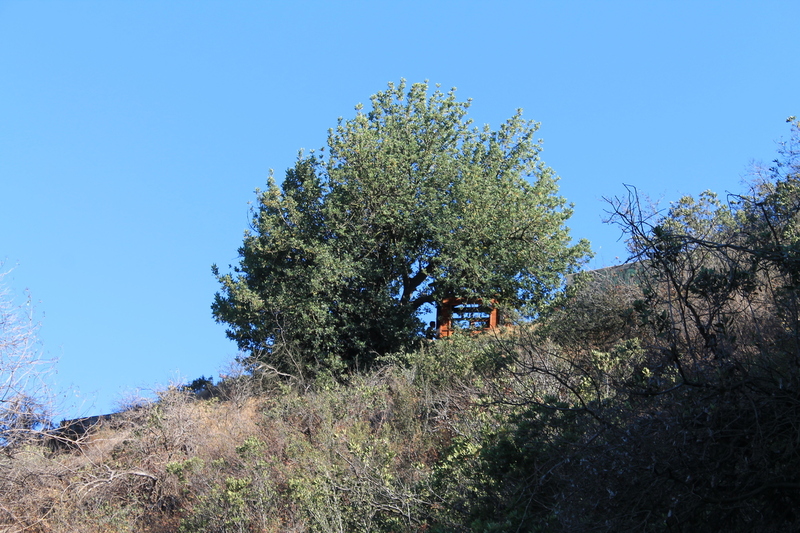 When we got to the part of the trail that goes around just below Taco Peak, we looked up, and the tea house was there. 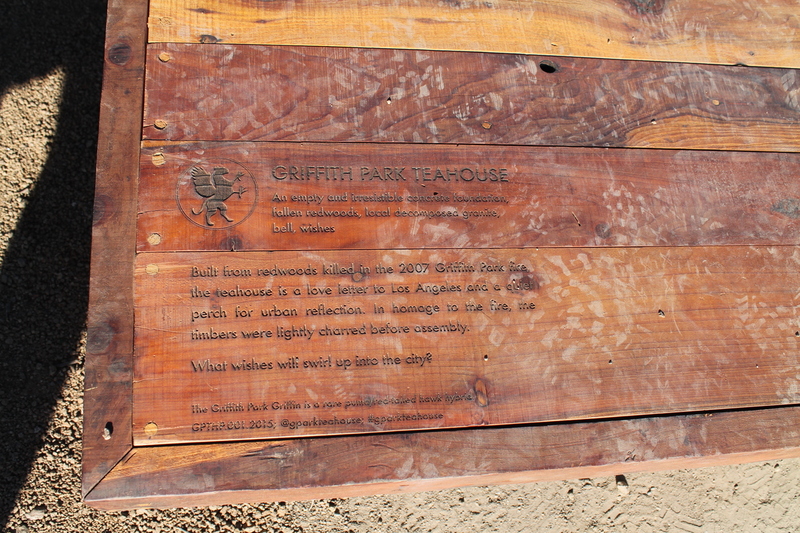 Just a short distance up the trail, we came to the spot and saw it close up. There were quite a few people there to see it. I guess everyone had the same reaction to hearing about it. 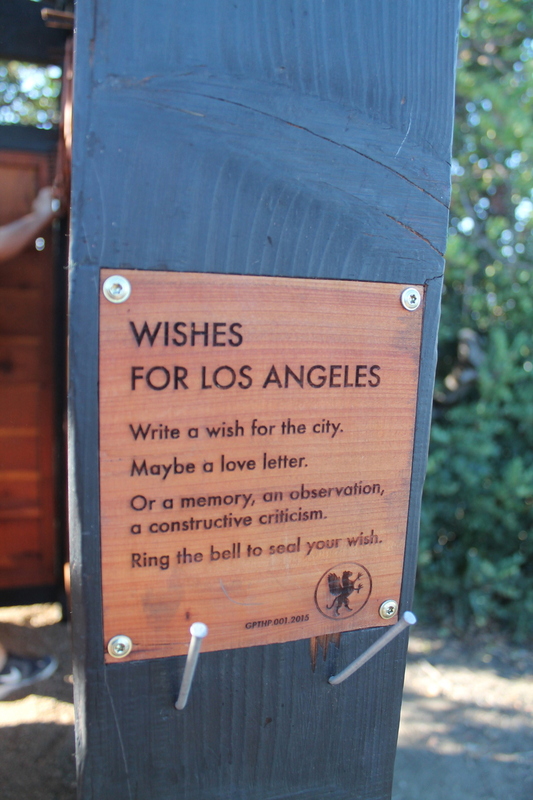 The artists had left pencils and little wooden chips to write wishes for Los Angeles on, but all the wood chips had been used. We went inside to see them all hung on the pegs and read what people had written. It was all very nicely done. 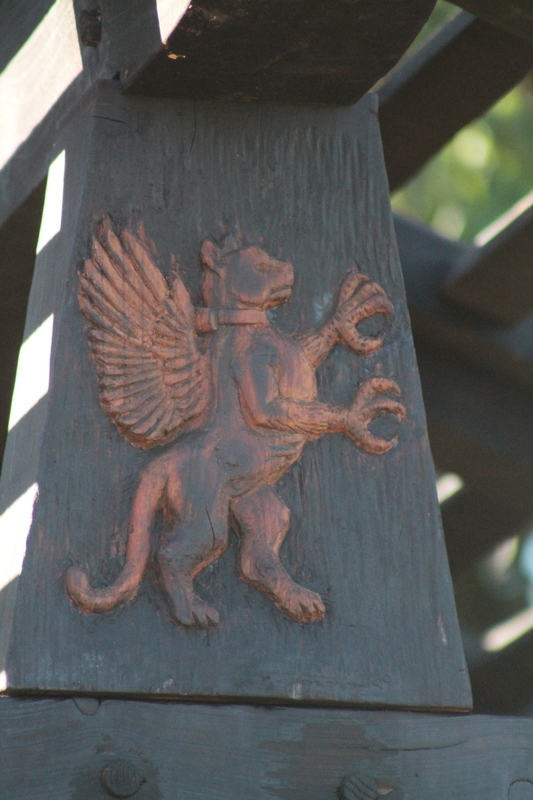 The construction of the house was first-rate, and it really looked like it belonged there. It’s unclear what will happen to it, but at least we got to see it when it was still fresh. 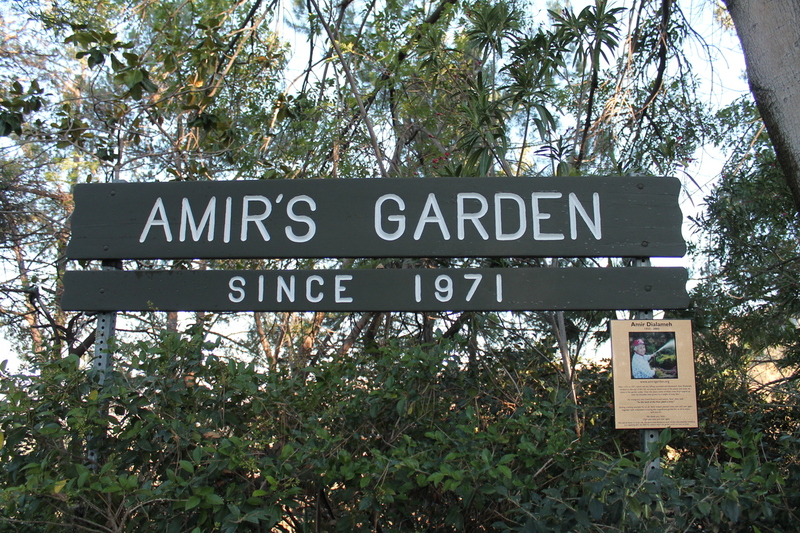 It kind of reminded me of Amir’s Garden, which is another place in the park that was built by one man with a vision. So on the way down, we took a route to go through there. It was nicely cool and shady there, as the garden is irrigated with what I can only assume is reclaimed water. But it was very nice there. Then we took a very steep trail down the end of the ridge to get back to the trail that would bring us back to our starting point. It was a good little afternoon adventure.